“Beasts of the Southern Wild” meets Because of Winn Dixie in this inspiring story of hope. 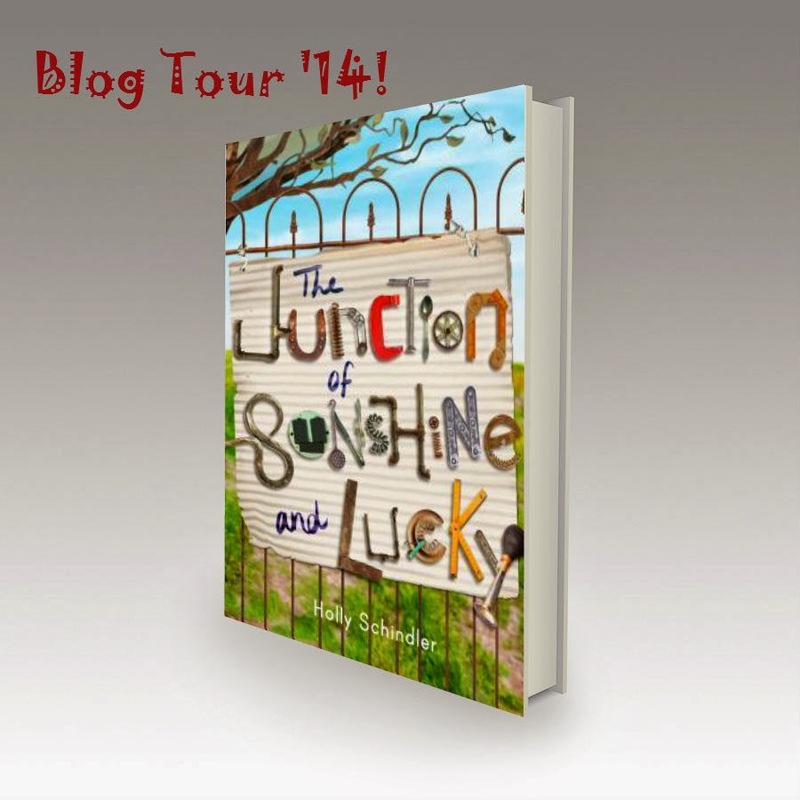 Auggie Jones lives with her grandpa Gus, a trash hauler, in a poor part of town. So when her wealthy classmate’s father starts the House Beautification Committee, it’s homes like Auggie’s that are deemed “in violation.” But Auggie is determined to prove that there’s more to her—and to her house—than meets the eye. 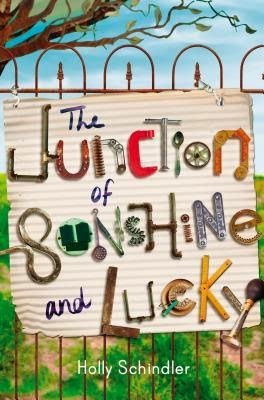 What starts out as a home renovation project quickly becomes much more as Auggie and her grandpa discover a talent they never knew they had—and redefine a whole town’s perception of beauty, one recycled sculpture at a time. Holly Schindler’s feel-good story about the power one voice can have will inspire readers to speak from their hearts. 1. Grampa Gus’s welding torch—that’s how we create our “company,” the figures we make to fill our yard! 2. My best friend Lexie. Our laughter sounds like the notes of piano chords that have to be played at once to sound right. 3. My church—Gus and I have been going to Hopewell Community Church my whole life. Actually, Grampa Gus has been going there HIS whole life! The minister, Chuck, was a friend of my mom’s, and she’s been gone nearly as long as I’ve been alive. Talking to Chuck is the next best thing to talking to my mom. 4. Old Glory. That’s what we call Chuck’s trash hauling truck. We gather supplies for our “company” using Old Glory! 5. Montgomery, my old school. I loved going to school there so much, I had to tell myself to only miss three things when the school board closed its doors. If I missed three things, it wouldn’t hurt so bad. 7. Thanksgiving with all my neighbors—all of us bring our own specialties. The Widow Hollis can stir up sweet potatoes until they’re smooth like whipped cream! 8. My neighbor Weird Harold’s ball caps, which all have funny sayings on them. Grampa Gus calls Weird Harold a “conspiracy junkie,” and his crazy ideas are all over his hats. 9. The spot in our rug that Gus and I have worn thin by dancing. 10. The next sculpture that Gus and I will make—you never know what it will be! I’m especially excited about this site. I adored getting to interact with the YA readership online—usually through Twitter or FB. But I had to create a site where I could interact with the MG readership. I’m devoting a page on the site to reviews from young readers themselves! Be sure to send your young reader’s review through the Contact Me page. Smack Dab in the Middle for MG authors. I have been hearing so much about this book. I have it on my list and can't wait to pick it up. It was so fun to read the list of Auggie's favorites. Her voice really comes through. Thanks for sharing!